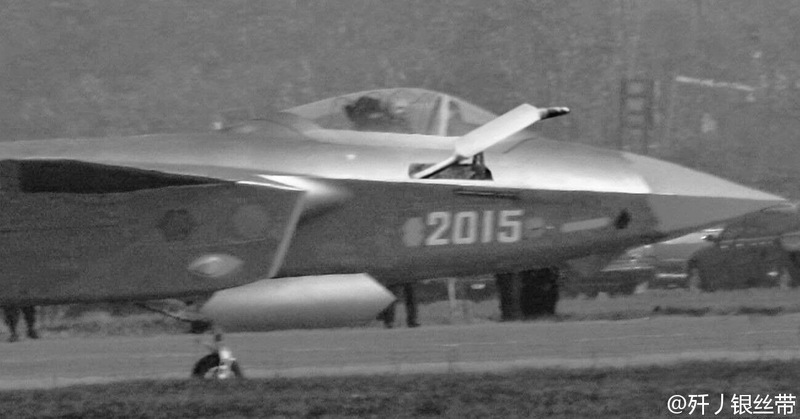 Sorry, but this image is psed from the well known huge colour image of '2015' + the IFR-probe from '2013'. If You look closely there was another man standing exactly under/behind the radome in front of the car; he has been erased. Also '2013' was slightly standing turned away from the side (looking to the background) as such there's a slight off-angle of the probe; it nearly looks as if it was bent and even more the size of the opening does not fit to the size of the panel due to this distortion. I know that all you "experts" over at Secret Projects think that this photo is PS'd but thanks I think I'll come to my own conclusions on the matter - LOL. Sorry if You feel offended and IMO it has nothing to do that I or anyone else at the Secret Projects Forum feels like being an "expert"; additionally I never said You are not allowed to come to Your own conclusions, but it's simply a matter of facts and a logic. My conclusions - explained above - say that it is a PS-job: You can clearly see that it is the same image like the huge colour image, it clear shows where the man "under" the radome has been erased ... and even more the angle of the IFR-probe as well as sharpness simply does not match ... again that's my opinion based on a few details. If You come to another conclusion then it's fine but I prefer to argue (and so far no argument was given from You) other than bashing mine ... So no matter of LOL. But if You think YOU are the expert, then it's fine for me too.